Everyone knows that bad odors in your refrigerator or freezer can be difficult to get rid of and are not appetizing. Not only is the odor unsanitary, but it also can permeate the food in the refrigerator, and also your ice cubes!!! We will examine some ways of getting rid of these poor odors, but first we will go over some of the main causes. It is also important to remember that most refrigerator/freezer share air back and forth between compartments, so a foul odor in your refrigerator can also contaminate food and ice in the freezer as well. Keep this in mind when trying to find the cause of an odor. Freezer Burn – Food that is freezer burned not only changes the taste of the food, but can also cause a smell in your freezer. Spoiled Food – Remember that spoiled food in your refrigerator can affect food in the freezer, and vice versa. 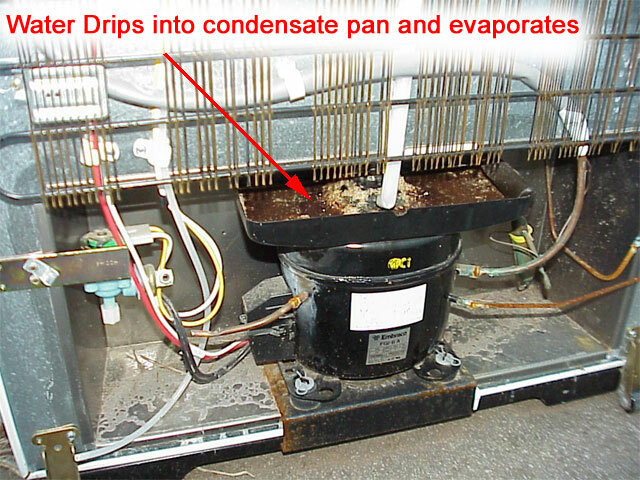 Drip Pan – there is a drip pan under your refrigerator that collects water and lets the water evaporate, sometimes this can get dirty and cause foul odors to linger. 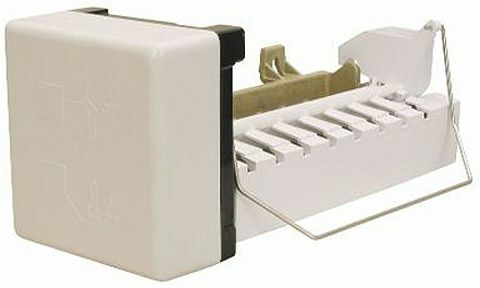 Icemaker – All of the small crevices in an icemaker make this a great place for bacteria to grow. Cleaning the icemaker regularly will keep your ice tasting fresh and freezer odor free. 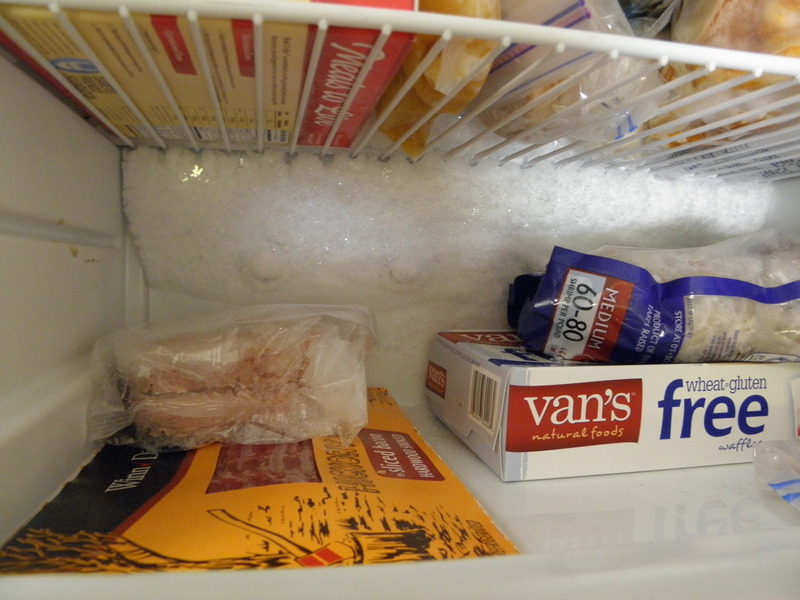 Ice/Frost Build-up – Ice and frost can trap odors in your freezer. If you have any ice or frost build-up it is important to defrost your freezer. This not only will help your refrigerator smell better, but will also improve performance and reduce your energy usage! First dispose of any questionable food. 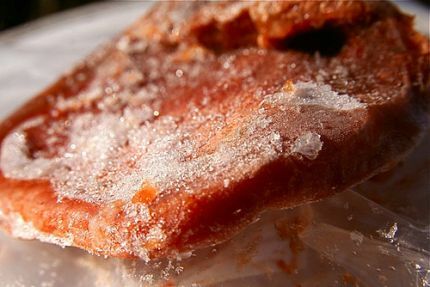 If there is any ice build-up be sure to defrost your freezer. Remove all shelves and clean everything with hot water mixed a teaspoon of bleach (per gallon of water.) Don’t forget to clean the door and door gasket! Wipe down the inside of the unit with equal parts vinegar and warm water. Place baking soda, or coffee grounds in a large shallow container at the bottom of the refrigerator and freezer. Leave for 3 days. Repeat 2-3 times as necessary. This will absorb any odors left in the refrigerator. Or you can use on of our commercial deodorizers! Place imitation vanilla in a shallow bowl same as the baking soda and leave for 3 days. Unplug unit and empty all the food. Stuff the unit full of crumpled newspaper and close the doors. Leave for several days. Once complete, wipe the unit down with vinegar and water. The newspaper will absorb the odors. If all of the above did not work, then the odor could have penetrated the liner and insulation. This is very uncommon and is not a repairable problem.